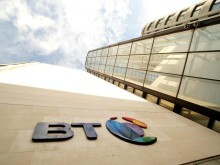 May 16, 2018 – The new ‘Consumer’ Business Unit of BT Group – comprising BT, EE and Plusnet – is launching its ‘Best Connected’ plan, a commitment to provide the best connections, the best service and the best experiences to its customers across the UK. Consumer will keep customers connected by bringing together the best of mobile, broadband and Wi-Fi networks through first-of-their-kind converged products, and is committing to provide the best service and the widest choice to customers across the UK. Consumer is now bringing together its market leading mobile, broadband and Wi-Fi networks into one smart, digital network that will give customers seamless connectivity wherever they go. The new converged, smart network – which will be the first of its kind in the UK – is scheduled to be completed in 2022 and will enable a new era of connectivity for the UK. Consumer will make ultrafast broadband with speeds up to 314Mbps available to even more homes, up from more than 1m homes eligible BT Consumer customers today. BT’s Ultrafast broadband comes with a unique guarantee of speeds of more than 100 Mbps. EE will offer ultrafast broadband to customers this summer. BT is also boosting the power of its public Wi-Fi – the UK’s largest public Wi-Fi estate, with more than 12,000 premium hotspots offering. Wi-Fi and mobile will combine to give BT customers the most reliable connectivity in the UK, both on the go and indoors. New products and services are being launched that give customers the best of the UK’s leading mobile and fixed networks to keep their homes and families connected. BT is launching BT Plus, bringing together home broadband, mobile and Wi-Fi capabilities into one converged plan, with one simple bill. BT Plus customers will benefit from the fastest speeds from BT on broadband and mobile. BT’s Keep Connected Promise means that if ever there is a fault with a customer’s home broadband, BT enables unlimited data on their BT mobile plans and will send a 4G Wi-Fi Mini Hub with unlimited data so the customer can stay connected while their broadband is repaired. EE is launching new converged ultrafast home broadband plans over broadband and 4G, which include 4GEE Backup and Home Move, keeping customers connected if there are issues with their connection or when they’re moving house. EE broadband customers also enjoy data boosts on their EE mobile plan, with up to 20GB of mobile data that they can gift to family members on the same account. EE is also showcasing a prototype for a new category of converged broadband – EE Hybrid Broadband technology. The UK’s first truly hybrid home broadband combines the superfast broadband network with the 4G network to give customers consistent and reliably fast broadband speeds, even in areas with traditionally slow broadband speeds or at peak times. The hybrid technology ensures customers are always connected, as one technology will take over the other in the unlikely event of a fault. EE is launching the UK’s first mobile plans that allow families to gift their data to anyone on their account. Families can turn their data into digital pocket money, monitor and control their children’s usage online, and stop them ever running out of data without having to spend an extra penny, all with a few taps through the My EE app. The My EE app also allows parents and carers to monitor and control how much their children are online and what they’re accessing with easy-to-use content filters. EE is also launching new ‘Flex’ mobile plans – perfect for those who want the control and flexibility of pay as you go with the simplicity of pay monthly plans. Flex customers can increase or decrease their allowance or even take a month’s break, and receive mobile data boosts every three months of consecutive payments. Across all three brands, BT Consumer is committing to provide the best and most personal support for customers. That means expert help in call centres and stores across the UK, the most personalised and easy-to-use web, app and chat experiences, and even face-to- face support in their own homes. Consumer will onshore customer service roles to answer 100% of BT customer calls in the UK & Ireland by the end of 2020. BT will also be returning to the high street across the UK throughout 2018, providing customers with BT products and advice in EE’s expanding footprint of more than 620 retail stores. This summer, EE will launch the most personal delivery experience in the UK with an exclusive partnership with delivery and setup experts Enjoy. EE will be the first UK network to offer a superfast same-day smartphone delivery and expert set-up service. The new service, initially available in London, will give customers the opportunity to have an Enjoy expert hand-deliver their EE new device at home or to a location that suits them and set it up so they can use all of its new features right away. EE is also launching augmented reality (AR) customer service tools, EE Remote Support and EE Virtual Support. Customers can now troubleshoot connectivity problems in their home by allowing EE experts to inspect the location and setup of their router and devices through their smartphone camera, and get set up quickly and easily using AR setup guides. Building on the award-winning customer service that Plusnet already provides on the phone and online, Plusnet will also be launching their first ever self-service app – allowing Plusnet Mobile customers to see their bill and get help on a range of topics 24 hours a day. Consumer’s ambition is to offer unrivalled choice, with the best content, smartest devices, and the latest technology, through partnerships with the world’s best content providers. As part of this, BT and EE customers will enjoy a range of new experiences this year – from the latest content to new app experiences that give customers more flexibility on how and where they watch their favourite content. BT TV will include the Amazon Prime Video app in addition to Netflix and customers will be able to access Now TV from 2019, giving them the widest range of content on any set top box in the UK. BT will be the first major UK TV platform to offer Prime Video through its set-top boxes, allowing Prime Members to access thousands of TV episodes and movies, including award-winning Prime Originals and exclusive series like The Grand Tour, The Marvelous Mrs. Maisel, and Vikings. The new BT TV App will allow customers to download and play content on the move for the first time, and will also be available on many more TV and digital platforms including Samsung Smart TVs, Apple TV and Google Chromecast. 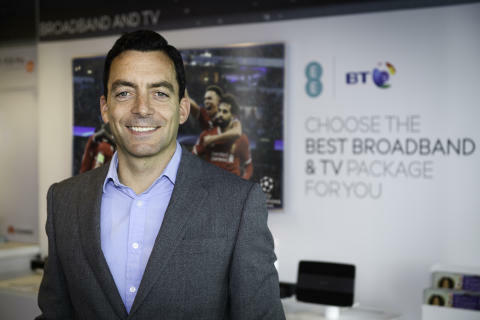 In time for the next football season, EE customers will be able to access new BT Sport app features – including the ability to cast direct from their mobile to their TV with inclusive data. EE will also offer Google Chromecast as well as Apple TV to make it even easier for customers to share content from their mobile to the big screen. EE customers will also be able to access a range of new mobile TV experiences throughout the year, with more details to be announced. To provide customers with the most exciting products and experiences, Consumer is also launching a new business unit dedicated to partnering with the most innovative companies in the world. This unit will introduce new products and services, from the best content, the latest smartphones and smart home technology, and will create new experiences for customers including the ability to add payments for products and a wide range of services to their mobile bill. EE is now the first operator in the UK to enable on-bill payments for all major app stores, and working with partners to allow customers to pay for a wide range of services from travel to their favourite content on their mobile bill. Consumer’s API (application programming interface) platform and online, retail, and customer service partnership models allow partners to make the most of the latest mobile and broadband technology to provide customers with the best connected experience of their products and services. 1 EE Pay Monthly customers will be able to buy products interest-free on their smartphone plan using EE Add to Plan, and can call EE’s smart home helpline dedicated to providing advice and making the smart home easier to manage. Consumer comprises BT, EE and Plusnet, and services all of BT’s consumer customers in the UK.